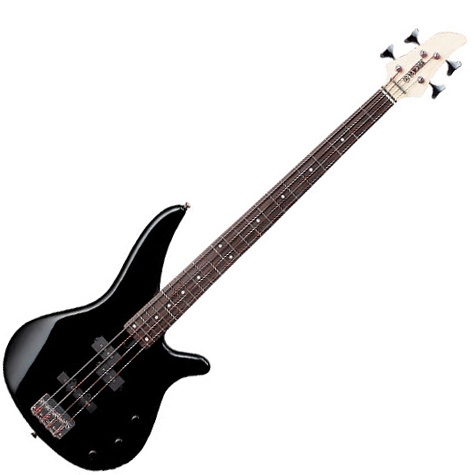 RBX170, 4-string bass guitar from Yamaha in the RBX series.
" + + + Quality / price ratio"
Made in Indonesia, traditional bridge, maple neck, rosewood fingerboard, 24 frets. Agathis body shape ... Yamaha. Chamfer to chamfer arm but not stomach. 2 mics PB + JB, vol / vol / tone. Specifications of quite ordinary for this type of material. Not enough to whip a shredder. The violin, if it does not use rare woods, however, is exemplary, far better than the Ibanez or the same price Squiers. The strings are to replace the original acquisitions. The handle is a total success, in my opinion. Ibanez's are too thin, and I think this affects the resonance and overall feel. The sleeves are like PB too massive that we walk (a little) on the neck while singing. The varnish is well posed no problem. The frets are well finished, a good size. All boxes are easily playable, both sitting and standing. The overall ergonomics brooks no criticism, the weight is quite reasonable, although less than a PB. Only drawback, the rosewood fingerboard is very dry and pale, suggesting the use of a wood species of dubious quality. A soak abundantly lemon oil before use. Hardware side, the Mecas are very good and reflect the agreement even after transport cover. No sticking. Oil bath. The stand is cheap, but less than 200 euros, do not dream. Another detail, the cavities are not shielded and the plate is screwed to the electronic "relief", not in a flat. This does not affect the sound remains noise free. Low resolutely turned towards the Rock. Surprisingly, the micro PB accuses a lil blow soft, JB microphone deliver excellent sound. The volume pot does its tone, without more, the bass is passive, it does not get a treble boost. Played on a 300W amp with a 4x12 to c **, the sound is very good, with output levels comparable to a Fender true even if the sound is more "rough" or fat, less precise. To avoid or to ape Flea Mark King. A book for fans of Geezer Butler and Steve Harris. - Start properly without disgust to play on a Tenson or Jim Harley. 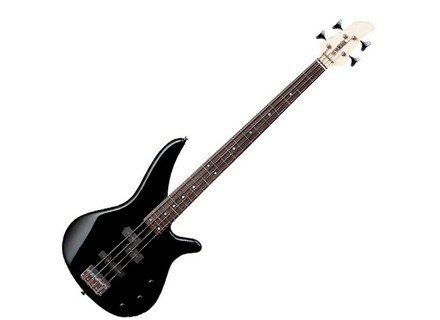 - To continue when we play well for a price may consider modique.On concerts and studio on this little bass. - To have a base upgradable to wish if we can find secondhand. - Have, like myself, a cheap bass that does not fear the bars from the depths of the campaign and festivals where we usually had shaken ... not a Fender or Alembic. Should be 10 with a better microphone PB. 9, however. Mine will be entitled to a SPB3 or EMG shortly. Big fan of Fender, we must recognize that whatever the range, Yam is always well placed. RBX range proves to be the lower series shows the Pacifica for scratching.